Perhaps it’s just because of the archaic language, but “Hallowed be thy name” has always seemed to me the most cryptic line out of the Lord’s Prayer. In everyday terms, what does it mean for the Christian to hallow God’s Name—that is, to keep it holy? In one concise question and answer, Lord’s Day 47 of the Heidelberg Catechism expounds upon the ramifications of this request. 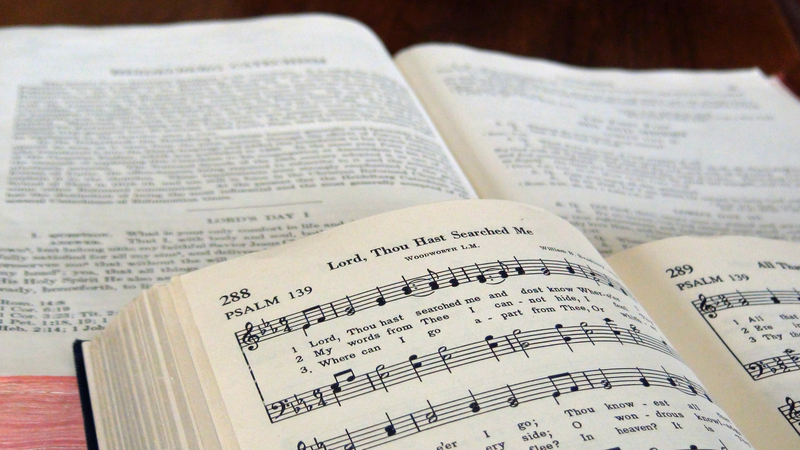 Today we’ll consider this Lord’s Day in our ongoing URC Psalmody series. And praise Him there with all your might. And worship Him with reverence meet. “Help us to direct all our living…so that your name will never be blasphemed because of us but always honored and praised.” Psalm 50 reminds us of our place before this holy God: he needs none of our worship, yet he desires it from sincere hearts. As we pray, “Hallowed be thy name,” we express our grateful desire to see the name of the Lord exalted above every other.